Visitors to Tiger Territory will embark on a journey through an Indonesian habitat, coming face-to-face with our handsome tiger through the floor-to-ceiling glass windows. The exhibit has been designed with ZSL’s team of keepers, conservationists and experts to ensure that it perfectly suits the needs of a tiger. Tigers are excellent climbers and like to observe their terrain from a towering vantage point and Tiger Territory features tall trees to scale and high feeding poles to encourage natural predatory behaviours. 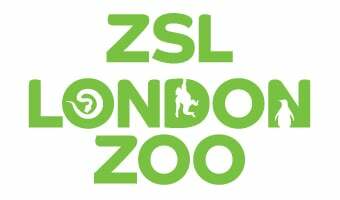 The European breeding programme and the Global Management Species Programme for Sumatran tigers are both coordinated by ZSL London Zoo – where ZSL’s specialists are responsible for ensuring a healthy and diverse population of tigers in zoos around the world. Tiger Territory will inform and inspire a generation of people to treasure the tiger and understand their role in its survival. It will also help fund ZSL’s tiger conservation work in the field, providing a lifeline for years to come. With an adoption pack, you can help to care for our tigers at ZSL London and Whipsnade Zoo, and support our conservation work to protect tigers in the wild. Love tigers? Find the perfect gift in our online shop.